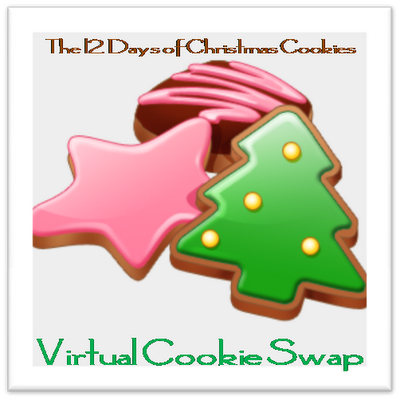 While I have been somewhat absent these past few weeks, this virtual cookie swap was just the thing to pull me out of semi-hibernation and re-enter the blogging world. Kathy of Bermudaonion and Julie of Booking Mama have been posting the 12 Days of Christmas Cookies with several mouth-watering temptations that I know I must try. Now they are asking all interested bloggers to post their own holiday favorites: favorite traditional cookie recipes to be posted on Kathy’s blog and chocolate/candy recipes to be posted on Julie’s. While I personally have never been a part of a cookie swap (somehow that and book clubs have always eluded me – no matter how much I wish to take part), but making holiday cookies has been a part of my life for as long as I can remember. I usually experiment with several different cookie recipes, but my one tried and true recipe for decades has been M&M; Cookies. My kids would help make these with me from the time they could sit up by themselves on the counter. I would make the dough, and they would decorate the top with the colorful candies. I think the ration ended up something like one for the cookie and one for the child, but that was ok — it was all about having fun and making memories. Test best warm with a glass of cold milk. These are always Santa’s favorite cookie when he stops by the Totoro household. I think I have mentioned that my youngest daughter aspires to be a pastry chef and is currently enrolled in the culinary program at the local high school. She recently found this recipe at allrecipes.com and has already made it several times. I think it is destined to become a Totoro tradition. Line a 10×15 inch pan with parchment and set aside. In the top of a double broiler set over simmering water, heat white chocolate and peanut butter. Stir constantly until white chocolate and peanut butter melts. Spread onto prepared pan. Pour melted semi-sweet chocolate over top and swirl through with a knife to create a marble pattern. I love M & M cookies! I wonder if Peanut Butter M & Ms would work with them. Thanks so much for sharing a recipe with us! I've tried Tiger Butter but I've never made it. It sounds so good, but you can't really go wrong with peanut butter and chocolate. Anything with m & m's has my attention! Ooh, Tiger Butter sounds like something that could become a tradition at my house, too. 🙂 I'm going to have to give it a go. Oh gosh these sound heavenly! Thanks. Yummmmm. Tiger Butter sounds beyond good! Thanks for the recipe!